The Renzetti Saltwater Traveler 2200 Series Vises ties flies from #4 to 8/0 and offers you the same great features of the Traveler 2200 plus more. While you are still enjoying the True Rotary feature, the adjustable bobbin cradle, the 7" anodized aluminum and a cam operated jaws, you will also enjoy the a material clip and a spinning attachment. The jaws on the Saltwater Traveler 2200 are designed to hold hooks ranging from a 4 to 8/0. As with the Traveler 2200 True Rotary Series Vises it must be ordered for right (R) or left (L) handed tier. Hook range is specified for you to enjoy the True Rotary feature this vise offers. To convert your Saltwater Traveler, regardless of its age to a Traveler Series, get a Traveler bent shaft Assly - Part # X9014 if you are a right hand tyer or Part # X9015 if you are a left hand tyer. You will also need a set of Traveler Jaws. 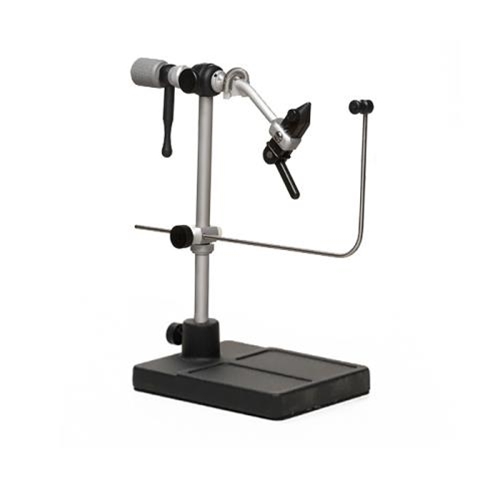 superb vise for professional tyers and beginners. Always go true rotatery vises. I love this one.